IC System provides First Party and Third Party Debt Collection Services, across the nation, to help businesses to collect on their past due accounts. A collections agency with healthcare experience makes all the difference. I.C. System is one of the largest debt collection agencies in the United States. Through our combination of quality service, courteous nature, and reasonable rates, our collection services are unmatched by other receivables management agencies. I.C. System is not like other agencies; we are family owned and privately held, ensuring personalized service and stability that has worked for our clients for over three generations. IC System offers flexible programs for every stage of the delinquent patient revenue cycle. Our Recovery Plus program for patients in early delinquency stages provides a series of diplomatically worded letters that communicate the urgency of getting the bill paid, while also preserving the patient-provider relationship you’ve worked so hard to establish. When patients have moved into later delinquency, our Premier Collect program provides more intensive collection treatment including phone calls, credit bureau reporting and attorney referral and litigation options. 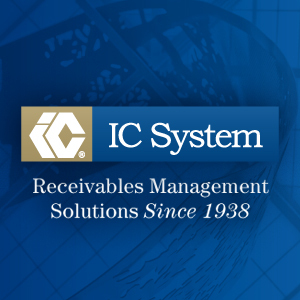 IC System delivers Fixed Fee options if you only have a few patient accounts. Let IC System be an extension of your billing office or your traditional third-party agency and realize revenue due to you.